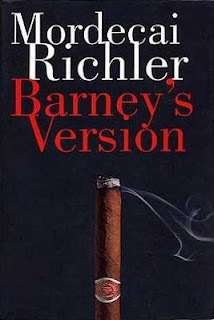 A few weeks ago I finished reading a humorous, yet somewhat sad tale called Barney’s Version, written by Canadian author Mordeecai Richler. In a response to a book of memoirs, written by his sworn enemy Terry McIver, protagonist Barney Panofsky decides to give the true version of his life, as McIver’s memoirs paint Panofsky in a very bad light. Panofsky, an old man, recants his time spent in Paris as a young man, how he became a widow, divorced twice, the father of three children, a television producer in Quebec and the suspected murderer of his best friend. Throughout the novel the reoccurring themes are dealing with loss, with guilt, loneliness and the ability a person has to rewrite their memories as to make them more bearable. Next on the list Tropic of Cancer by Henry Miller.